​William Gonzales is a proud New Mexico native who graduated from UNM in 2010 with a degree in Music Education. After graduating, Mr. Gonzales spent 6 years in the Washington, DC metro area teaching and earning a master’s degree in music education at the University of Maryland. In Maryland, Mr. Gonzales taught at Newport Mill Middle School where he grew a choir class of 42 students to a functioning program consisting of over 130 singers and 4 ensembles. 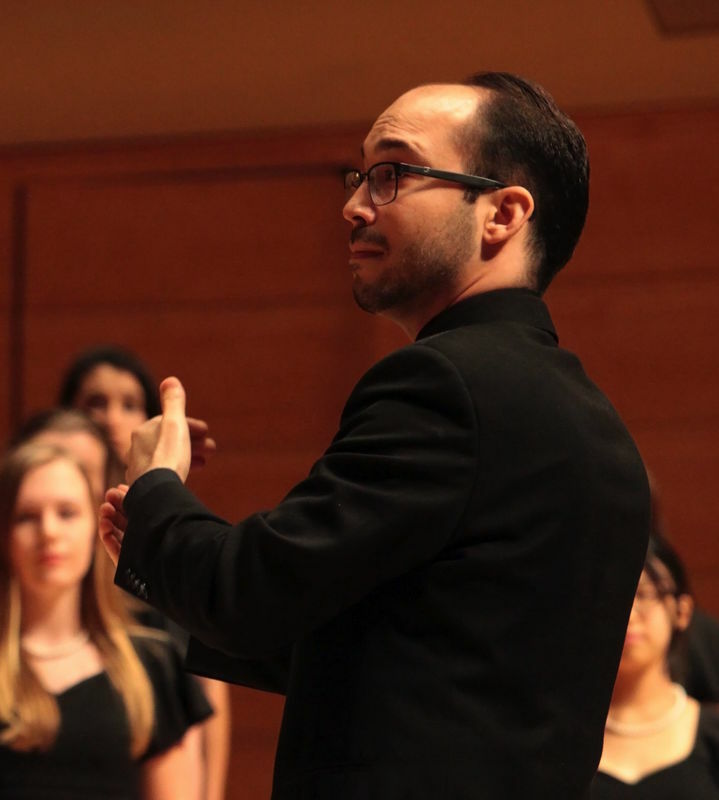 Additionally, Mr. Gonzales worked as ensemble manager and assistant director for the Strathmore Children’s Chorus Concert Chorus, a vocal ensemble for females grades 9–12. This prestigious organization allowed him to work with highly-dedicated students and professionals to create exception choral music to present on a world-renowned stage. Though leaving the choirs and communities in the DC metro area was difficult, Mr. Gonzales is ecstatic to be home in the Southwest and a part of the community at Eisenhower Middle School.